What is PCI Compliance and does Network for Good meet those standards? PCI stands for Payment Card Industry. It is a set of security standards designed to ensure that ALL companies that accept, process, store or transmit credit card information maintain a secure environment. 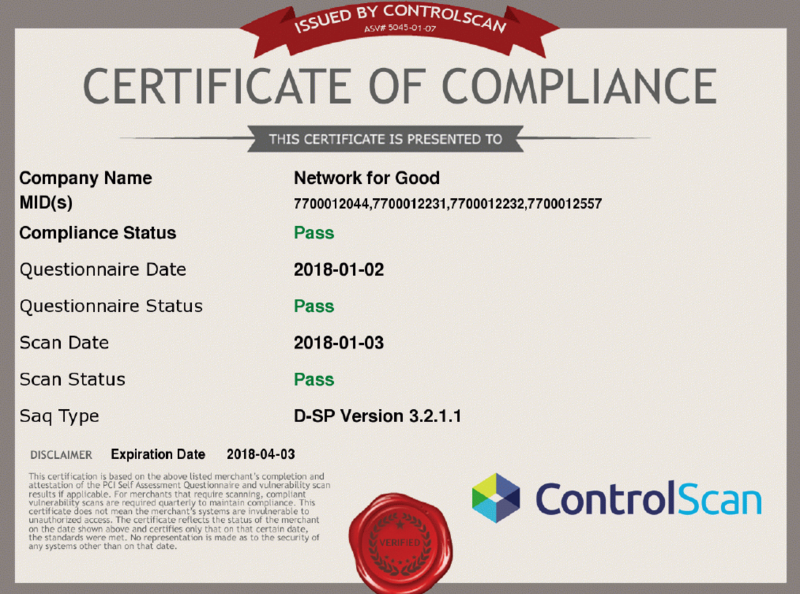 Network for Good is committed to keeping credit card information secure. We regularly participate in PCI compliance checks to ensure we are meeting the highest standards of security.